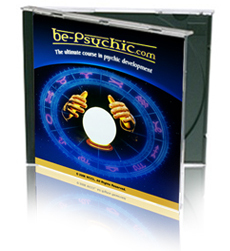 ï»¿ Be-Psychic.com The Ultimate Psychic Training Course! And when that muscle twitches, I believe that itâ€™s more than coincidence. Three years ago, I held my first seminar in Scotland, where I taught my students what I knew about this so-called â€˜psychic powerâ€™. In Book One of my course, I innertell you about many of the techniques used by the worldâ€™s leading psychics. For example, the "Psychic Hotline", mind reading. "P-mail" I also show you some ways techniques that many people believe conclusively prove that Psychic Power really exists. Remember, once you know how theyâ€™re done, you can make YOUR OWN decision about whether they're 'real' or not. "Just wanted to say thank you for the great service. I received the course in just 24 hours. And to provide a little feedback: I'm thrilled, because I just applied the first technique and won Â£25,000 this morning on a Camelot scratchcard! No April 1st here. Where can I buy an 'I LOVE BRADLEY THOMPSON' badge?" As part of a special marketing experiment, we're currently reducing the entire "Be Psychic!" course and all its bonuses down to just $99.95 – if you purchase BEFORE midnight, Thursday.